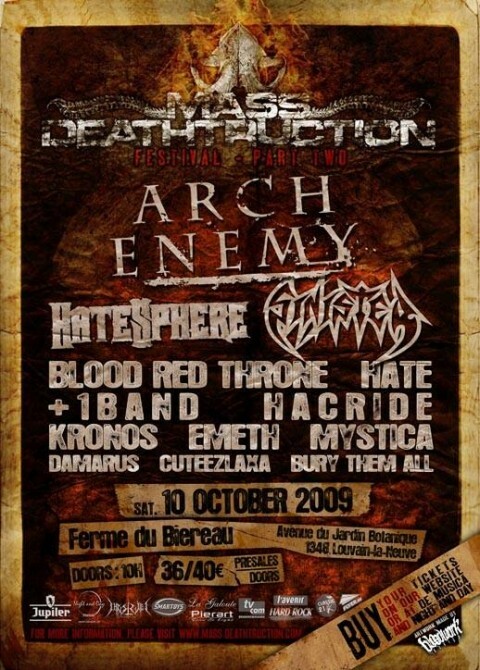 Mass Deathtruction is born in the beginning of 2008 when Pedro decided to create a brand new Death Metal event. 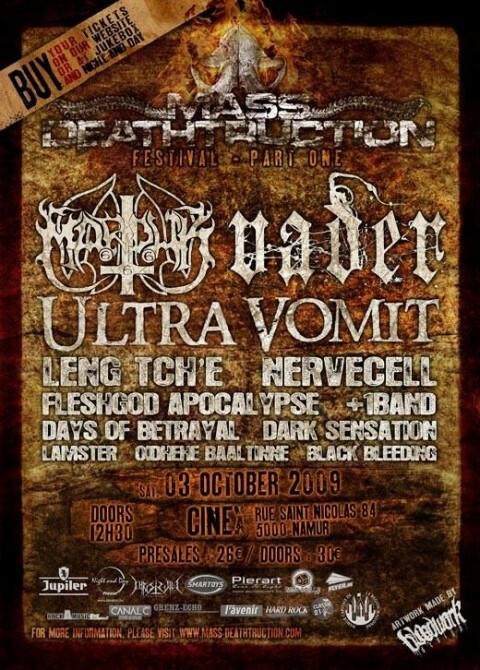 In October 2008 the first Mass Deathtruction Festival was organised in Namur (Cinex) with Vital Remains and God Dethroned as main headliners. The beginning of 2009 welcomed a Contest for Belgian bands who want to take part in the Festival 2009. Mass Deathtruction does a lot of work to promote great shows to bands and fans. We have to make sure that everybody is satisfied with every parts of the organization. It is why we really care about every little details to increase the quality of every shows we organize. Each of our shows must burn your ears with a powerful Death Metal ! ! Limp Bizkit confirmed for Sonisphere U.K.